Porsche 935, 962C, and 911 Carrera 2.7 RS Lightweight are all on the docket. Though the Porsche market has cooled somewhat from its 2016 highs, love for the German brand is still strong—especially among its most loyal fans. These days it takes the very best Porsches to achieve top dollar and that’s what Gooding & Company aims to sell with the announcement of three models at its Amelia Island auction in March. 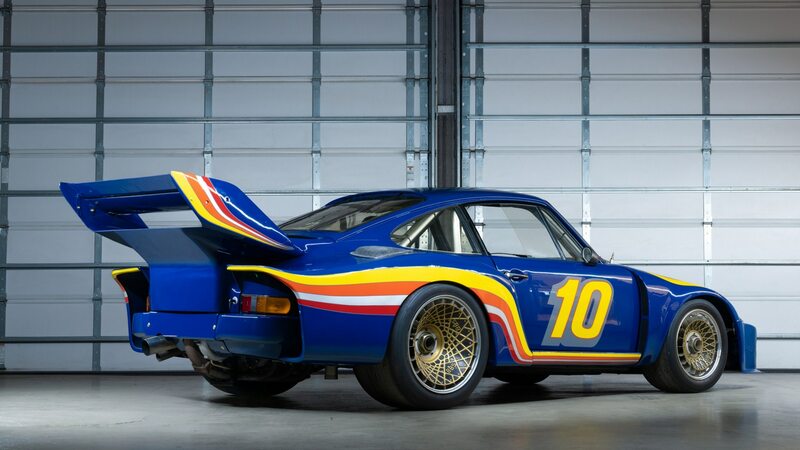 The cars up for bidding are a 1979 935, a 1987 Kremer Porsche 962C, and a 1973 911 Carrera 2.7 RS Lightweight. Gooding & Company has typically had good luck with Porsches at its annual Amelia Island auction. That includes selling a number of Jerry Seinfeld’s P-cars for upwards of $22 million in 2016, despite a pending lawsuit that one may have been less than it was represented to be. With an estimate of “just” $1.0 to $1.25 million, maybe a 1987 962C is more to your liking? Chief complaints about factory-built 962s revolve around lack of rigidity in the tub made from sheet aluminum, possibly due to its increased wheelbase over the outgoing 956 endurance racer. This Kremer Racing–campaigned car utilizes a stiffer aluminum-honeycomb tub commissioned by Kremer from U.K.-based John Thompson following the fatal accidents of two Kremer drivers behind the wheel of factory 962s. (Later Kremer 962CK6 models would use a carbon-fiber tub for even greater rigidity). 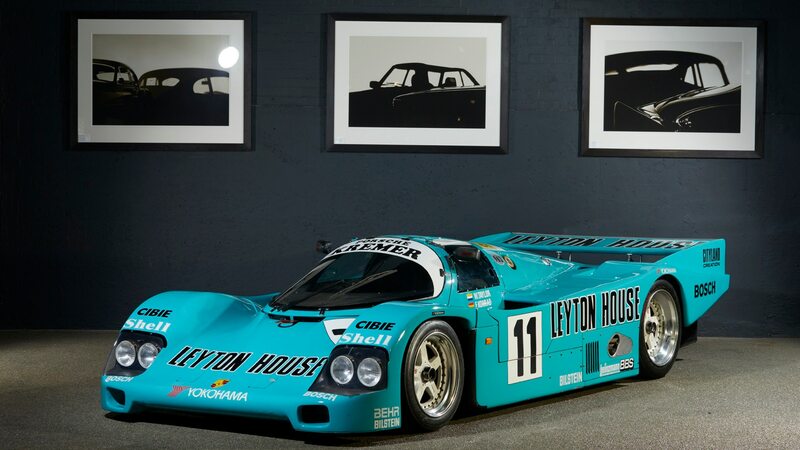 While Kremer sold its scratch-built tubs to other racing teams, this car, in well-known “Leyton House” livery, was built for Kremer’s own use at the 1987 24 Hours of Le Mans, where it finished fourth overall and then eighth overall in 1988. 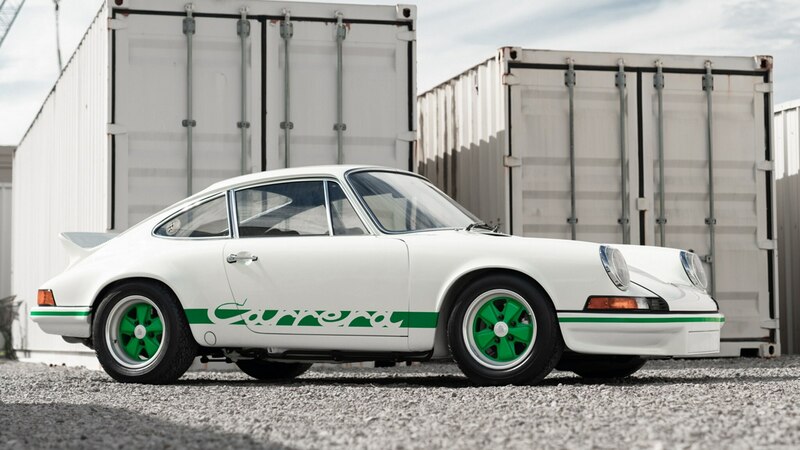 Then again, if you’d rather have a car that’s more suited for road use, Gooding estimates its 1973 911 Carrera 2.7 RS Lightweight will bring a similar $1.0 to $1.2 million. As one of just 200 2.7 RS models built to M471 “Lightweight” spec of nearly 1,600 total cars, this car has thinner body panels and glass, as well as a stripped-down interior. The idea was that these were more race-ready cars than the more popular “Touring” spec models and indeed, many owners used their Lightweights for local club-racing events while still being able to enjoy them on the road. This Lightweight is said to have had just four owners from new and has been restored while with its current owner to its original white with green accents. Keep tabs open here at Automobile as more star cars from the upcoming Amelia Island auctions come to light.